PJD has not correctly represented the conversation he had with me at ZEV in regard to the controller. Not any part of his statement is correct. In no way did I confirm his statement as he falsely asserts. The controller functions not as a power boost or a voltage limiter. It functions by controlling both the amps and the volts. In first gear the maximum amps is 70% of the maximum power setting, in 2nd gear it is 85%, in third gear it is the maximum. Each gear then further limits the voltage at the end of the programmed speed range. The effect is to maximize range. The controller cannot be bought from any Chinese supplier and is filled with made in America MOSFETS. We use the same controller up through 150 volts. Test mules for next gen bikes are running 18,000 watts of input power So it is a lot of overkill on the scooters. Never had a failure. Never had one shut off from heating or any other reason. PJD also did not mention that his speed attempts were self limited to a 400-500 ft long section of the taxi way at the airport. He seemed to be a quite cautious rider and did not seem to like the curves at the end of the stretches and did not make any flat out runs that would have had him heeled over in in the curves under power. PJD informed me that his standard ride was some little bike about 2000 watts with a real short wheelbase. So I am sure the jump up was a learning curve. The comments of real ZEV owners speak for themselves about the top speed. I am 64 years old with bad vision and posted the listed speeds based on an aircaft GPS straped on the luggage rack down the same taxi way with the bike coming right off of the charger. I just do not quit at the 400 ft. marker. The "twitchy throttle" comment is a first for me as we had never heard it before in 3 years of production. But that "touch" is programmable. If a rider wants a much softer start than is standard, it can be bult into the controller during production. But it kills a little of the acceleration edge. I came from a hyper sport bike background running Kawasaki liter bikes and even with turbos over 280 hp. So I tend to like stiff chassis, big brakes, hard acceleration. I can putt around on the 7100 at less than a walking speed without any problem. We make our own chassis to my design. It cannot be bought in China or anywhere else. We do buy plastic that is used by others. But is a big assumption to think that that what is underneath is the same rake and trail, swing arm, chassis stiffness and or torsional rigidity, wall thickness, tubing OD, gussets, braces, junctions, boxing, etc. as on some other bike. The motor on the 7100 is rated at 7100 due to the amps x volts X efficiency at the nominal point. The motor is the same as in the 8500 watt bike and has been tested at 8500 watts continous inside a heat box with the temps jacked up to 150 degree C. The 8500 watt bike goes into full production in about 60 days and the 10 kw motor moves into limited production. The 30 kw motor prototypes are in hand for the trike project. Its a big assumption to look at a motor and think you know what is inside of it. You will be wrong every time. We raced the scooters at the KOLN International Motorcycle Show. Neither the motor or controller exceeded more than 10 degrees over ambient after 1 hour of practice or half hour of full throttle racing. As the real owner comment, they never get hot or even warm. Bikes are rated at the nominal power rating of the battery. The 7100 bike pulls a maximum of 100 amps when away from a dead start. At full charge a battery pack will show 96-99 volts. So the true max power is about 8300 watts. We are about 5% more efficient than any other motor we have bench tested and more than that on others. Since the rated power is the continous power at the 150 C temp level. The extra range we get is due primarily to the 3 speed power saver controller and the efficiency of the motor and controller. To those assuming that we are small or they are the big leagues, that is a big assumption based on nothing you can point to at all. In fact, nn our first year of USA production we delivered more bikes than Vectrix, Brammo, and ZERO combined delivered their first year. We were in the black in the first year and remain that way. Big investor money gives you nothing in this business except headaces. Lots of fancy offices, pressure to get on the market quick despite the product development stage, and that big investor money has to be repaid. So that jacks up the cost of operation and the customer pays an extra 10-20% more for the bike. Then you can go bankrupt like Vectrix. In 3 years and on over 1000 bikes, Not one motor or controller has ever failed. On a per 100 bike basis, the squawk list was 2 turnsignal beeper cans, 1 speedo, 1 speedo drive, 1 lead battery cell failures, 2 battery connections came loose. The previous year saw 2 charger failures and nothing else. The 100 mile range 7100 Trail just went on the web site at www.zelectricvehicle.com Nothing comes close at the price in speed or range or acceleration. It will be followed by the ST line with the 8500 watt bike shortly. I drive 26 miles one way to work with 21 miles on the Interstate. I think this is the right place to tell about my experiences with the ZEV T8500 which I have in my possession since last spring. I chose for the ZEV because of its simplicity ( and of course the price), the parts used are easier to replace in case something went wrong etc. The first time I accelerated I was surprised as the throttle indeed seemd quite twitchy, but that was something I could get used to. I always ride with a duopassenger on the bike as we like to do things together my wife and I, but that seemd no problem for the ZEV whatsoever. About the range we noticed that for example driving with a speed of 50 m/h reduces the range ( with two persons on the ZEV !) to give or take 60 miles. I decided to take the ZEV with me (on a trailer) to the south of France this summer ( we live in the Netherlands) so that we could continue our test in more mountainous circumstances. It appeared to have no problems while taking some hills, though I found out it couldn't do too much of regenerating while driving for a long distance downhill. Really braking with the engine it doesn't do. Everything seemed to go well until I decided to take a tour to Montsegur. (of course it wasn't my intention to drive on the actual mountain but just to the parking space at the bottom of the mountain) The road to Montsegur is already going upward enough with several hairpin curves and just a kilometre or two before we would have reached our destination (that parking place) just after we had done such a hairpin something happened. All of a sudden there was a strange rattling noise coming out of the controller and we could smell something was burning. We stopped immediately and when we tried to move on it didn't react to the throttle any more. We could only decide not to continue our trip and hope to be able to get back to our home for which we had to drive at least 30 kilometres back, luckily enough mostly downhill. The first 10 km would be going down and we hoped that would be sufficient to cool the things that needed cooling. We couldn't drive the bike anymore and had to wait untill we had returned to our dealer in the Netherlands where they could look into the problem. The dealer examined the ZEV and there had been indeed a problem with the controller. They replaced it for a newer type controller which mr. Zehrbach had sent to them and since then the ZEV seems even better then it had been before. This new type controller ( it also had totally new plugs) runs the bike much smoother than the previous had done – the throttle is not twitchy anymore – and it also seems to react much better on the electronic gear gadget. So it appeares that there have been an evolution in the controllers of the ZEV, as I've read before that other owners of a ZEV had issues with the controller as well. Since the replacement of that controller I already have been driving a lot of miles and found out that while driving in 'moped mode' ( 25 m/h) in first electronic gear the range of the ZEV with two persons on it is far more than 70 miles as the batteries still gave 88.2 V and the controller only starts shutting down as safety measure at 77 V.
The gauge on which it is possible to see the state of charge of the batteries is not completely satisfactory to my opinion. So I asked my dealer to install a Voltmetre so I have a better idea of the state of charge the are in during a trip. The ZEV controllers are available with either the more gentle acceleration curve or the "twitchy' style setting. The customer gets to decide when purchasing. Problems with controller failure has been rather non existent since each bike gets tested for 3 days of driving before they ship. But the "problem" of the throttle response is a simple check box on the order. Jean-Bob, love your 70 miles on 8 volts drop range. That works out to 185 miles on a full charge. Pretty wild. There is a fairly easy fix for the twitchiness of the older ZEV scooters. I installed a TNC half-turn throttle in place of the OEM 1/4 turn unit, and that eliminated about 75% of the jerkiness at low speed. I was told then by Darus that there was no half-turn throttle with the necessary government approval to be OEM. I'm still continuing my testride of the ZEV T8500. Yesterday I drove almost the same distance as I did in my previous post, 92,4 kms (57,41 mi) but instead of using the 'moped mode' ( 1st electronic gear, which has with 2 on the ZEV a top speed of 40 km/h or 24,85 mph) this time I used mainly the second electronic gear (out of three) which allows a top speed of 68 km/h ( 42,25 mph ). Again we drove with two on the ZEV. There was a strong headwind the first half of our tour. 7 kms (4,35 mi ) before we reached home again I got the warning that my batteries were running empty by only being able to drive in the 1st gear and about 3 km before we reached our destination it shut off while the Voltmeter read 77 V. I turned off contact, waited a while and saw the Volts rising again to 83 V. That allowed me to drive another km and the same happened again ( I only drove in 1st gear at that time). I did the same ritual, waited a few minutes and saw the Voltage rise again, this time to 81 V, and made it home. Very slowly driving. At home the Voltmeter read 79,5 V.
That's quite a difference with our previous experiences when we drove in that '1st gear' !! At this moment I can only conclude that when one is desperate to drive large distances with the ZEV - which in my case doesn't happen all to often - it is wise to do that in 'moped mode' ( 1st gear) as one isn't gaining time by driving faster in 2nd of 3rd gear because then one has to stop halfway for charging for at least an hour to reach destination. One hour is equal to 40 kms (24,85 mi) driving in 1st gear. That's my experience for now. I'm still eager to find out how far I will actually get on one charge with driving only in 1st gear but I don't think that will be this year. Probably next spring. As for the new controller I have now on my ZEV, yesterday while making that tour, after 30 kms ( 18,64 mi ) when I had to throttle down at a traffic-light or an intersection it happened a few times that I couldn't accelerate anymore. It just didn't react anymore. I had to put off contact first and after I had turned it on again everything went back to normal. There was at that moment still 91 V in the batteries. That's the only issue that confuses me a bit. You have to be careful to compare the ZEV scooters to the relevant motorcycle. I've been riding a SilverWing 600 abs for about 7 years now, and this is probably the one you want to compare to the ZEV's (or other "superscooter"). The ZEV is quite a bit lighter than these scooters. My SWing has a *really* low center of gravity that you have to get used-to as it feels porky compared to my Honda dual-sport or even the Honda Magna 750 that I had. The SWing handles well enough but I would never go canyon-carving. For me, on a scooter like this, what's really important is balance - can you ride OK with hands off the handlebars? I am getting ready for my first ride of my LRC-6. I will let you know how things work out - and I'll be watching the controller and regen. Lots of hills here, but no freeways. Getting ready for my first ride on a LRC-6. Is 77V is the minimum? (I couldn't find that in the manual.) Also, what headlight settings do folks use in the US? EDIT: I just returned from a 6 - 8 mile ride at speeds up to 60 MPH on the local (sort of windy through hills) highway. It seems to handle well - much lighter, and as the dirtbike riders say, seemingly "flickable," which I assume is due to how lightweight it is. It's a tad smaller than my SilverWing, legroom-wise. But the voltage (after sitting through a brief shopping trip) stayed up at 92V, so it's seemingly got a pretty good range (for the 16-mile-ish town round-trips around here). I miss the "linked" braking system of my SilverWing (on which one brake lever operates the front brake, the other lever operates ~65% front and ~35% back). I was able to lock up the rear tire on the LRC once, which I couldn't do on my SilverWing (anti-lock breaks, also). Turning on the (filament) headlights doesn't seem to change the indicated voltage, so probably the headlight power-draw is much smaller than the motor draw so as to be negligible to range considerations. This is Harley country, but I got my first compliment on having a "sweet ride" in the parking lot of Home Depot. This was my first ride, and I think I noticed that the steering head bearings need to be tightened a tad. I've had this on bikes before. Nothing major, but needs to be seen-to. I also didn't see a helmet lock anywhere. We used to use a paddle-lock on the front brake disk and lock the helmet D-ring to that. But the helmet fits under the seat OK, so that's the plan for now. I haven't installed the windscreen yet, so it's like riding a "standard" right now. The throttle is nice and smooth (no "twitchiness"). If you want to take off fast, roll the throttle aggressively in 1st, then hit 3rd gear after you get rolling (about the time you're through the intersection) - but back off a bit (and/or hold on) - it will really accelerate. Doing this, the overall acceleration is like my SilverWing (600cc) or maybe even faster. Patti your experience is far better than any of the ZEV scooters I've ridden. Back then the bikes didn't come close to meeting their rated range, speed and acceleration numbers. Darus would also have a tendency to pose as satisfied customers on forums. Have you any pictures of your new ride to share? Any details on battery size? The smooth throttle is definitely a big improvement, it means ZEV now uses a controller that varies it's current limit, rather than just the motor voltage. I wonder if they're using sevcon, or rolled their own. How was the acceleration? Oh, any chance you could put it on a dyno? How is regen managed? Just when you are at 0 throttle? Or is there an additional brake handle or peddle too? Sure, I'll post some pix. It's a stock LRC-6 and all I know about it (battery size, etc.) is on Darius' web page. I think I'm more pragmatic about these things than most folks. I've only ever had really old (10 - 15 year old) Honda and Yamaha bikes that I had to repair myself (because I'm poor: a XL600R, a XR250, a XT200), except I was finally able to afford a brand new SilverWing in '07. Because of these old bikes, I have this view that what's important is reliability (and also handling). The SilverWing had clutch/pad issues from brand new, and only one front brake rotor (unlike ZEV's more standard 2-rotor system), so even Honda's aren't perfect. You're right that the Chinese stuff isn't perfect, but it's a darned sight better than I coulda done. (And I absolutely *love* that something of this ilk is made in the US by a small business.) I *did* tell Darius that for his new sportbike he should get a brushed aluminum rear fork, rather than steel. He says his hubmotor is oil-filled - but I think it's ferrofluid (held just between the rotor and stator by the magnetic field, or else we would hear horror stories about the hubmotor leaking, wouldn't we?). Does anyone have any info on this? Ferrofluid would also concentrate the magnetic field between the rotor and stator - a good thing for a permanent magnet motor. Anyway, the LRC seems to be a really functional ride (only two rides so far, though). I was at a coffee shop (second ride, Prescott, AZ) that evening and someone else had a ZEV (for a couple of years) and came up and and told me how much they loved it. Quite a coincidence! You also have to remember that the electric bike industry are still working out what the "standard" hardware/software settings for the drive train should be. I remember the 70's and the Kawasaki triple 2-stroke death-machine; nowadays they've had two decades of really detailed refinement of sportbike hardware (frame/fork/brakes/clutch/transmission/frame-stiffness/etc.) but I don't think that process has finished on the electric bike front. For instance, how best to deal with regen? For careful low-speed bike control you need to not have it at all, but when cruising it's a great idea. So maybe it should be automatically disabled until speed is over 15 or 20 MPH? Or maybe a manual "enable" switch? Also, my bike has one-off bits. For instance, he said this was a new controller, and new controller programming. The charger and charging procedure are different from the old manual. So obviously things are still changing pretty rapidly. Regen: It comes on with the brake lights (but I think you also have to fully close the throttle). Acceleration: No dyno - but it's a better than my 600cc (two-cylinder) SilverWing - the torque and acceleration keep coming even as you get beyond 55 MPH. With internal combustion engines, on a dyno, the power is a balance between RPM (rate of fuel/air mixutre being processed) versus engine friction/inefficiency (both bigger at higher speeds). With the electric motor you don't get the power fadeout from the higher speed inefficiencies of internal combustion engines. The way the throttle works is, you have that "gearshift" button which automatically sets to 1st gear when you stop. So you roll on the throttle as you take off and it's good acceleration - but if you really want to pull away, you hit the gearshift button and you have to hold on to the handle-bars (literally!). It's no 1,000cc superbike, but it does accelerate rapidly to flying speeds and has very respectable high-speed passing capability. I think the torque curve is more like a 4 cylinder bike than a 1 or 2 cylinder bike (i.e., more top-end). I haven't really had a chance to explore how the electronic gearshift interacts with the throttle on steep grades. I figure this is just something I have to get used to - like when I switched from a 5-speed manual bike to the SilverWing automatic transmission. Hi, I'm driving a Zev T8500 now for two years and I must say I have experienced some major improvements in those two years. For example the smooth operating throttle since the old controller was changed. I also had some problems with my first charger but after getting a new and much better one these problems are over. It's only a pity that my first charger could charge 15 Amps while the new one reaches to 10 Amps which means that the charging time has increased. I can tell you by the way from own experiences that for my Zev 79,5 is the absolute minimum for driving. Lower than that it won't run anymore. The greatest distance I ever reached with my Zev was 107,5 km , deliberately only using the so-called first electronic 'gear'. After that there was still 89.7 V left in the batteries. And that tour was made with a duo-passenger ! The only thing about my Zev that absolutely needs an improvement is the speedometer, because it's not functioning right and exaggerates with 1.23333 km/h. Thanks for the info. I wonder if there's a trimpot somewhere that can be adjusted to calibrate the speedometer accuracy? ascab: I made a big old reply post - but I guess being new here seems to delay my previous posts. Basically, the only thing I know about the batteries is what it says on the ZEV website for the LRC-6. When I get some $$$ saved up, I'm going to buy the bigger batteries and get more range. I am glad it has a 10kw charger (instead of 15kw) so I can plug it into a standard outlet. I'll post pix soon. The acceleration is good - no clutch to feather - if you really need to take off you quickly shift to third gear. I was surprised that I had to hold onto the handlebars (lots of acceleration) - better than my 600cc two-cylinder SilverWing, and the acceleration persists to higher speeds, at least up to 65 mph (no freeways around here). Good high speed passing capability, easy to get a ticket, but it does top out at 85 mph (I think) whereas with hard work, my SilverWing could get up to at least 95 mph (but I don't do crazy). The regen kicks in with the brake lights, but I think you also have to zero the throttle to get regen. That seems like a fairly good setup, except during very low speed maneuvers. In looking around at various hubmotors, they caution against oil-filled as these leak. Yet the ZEV's don't report this. So I think it's actually a "ferrofluid" in the rotor/stator magnetic gap. Does anyone know? Ferrofluid might be good as it concentrates the magnetic field where it belongs, but I don't know how linear its viscosity is. About the speedometer, I've searched everywhere for a solution to adjust that speedometer but haven't found the right solution for it ...yet. The only thing I haven't tried out but what might work is placing a second magnet somewhere at the disk for the sensor. It might work, but I'm not sure yet. About the oilfilled hubmotors, interesting question but I never found a trace of oil at the rim of the wheel of my Zev. But I think Darus Zehrbach is the only one who could correctly answer your question. A ferrofluid in the air gap would make a magnetic short circuit. I have to agreed with Antiscab, ZEV performance and range were greatly exaggerated, and I expect still are; however, the bike's drive trains do hold up fairly well over time. I just helped a guy here in Colorado, would bought my old 2010 model S6100, recheck the battery pack balance and repair his charger. Bike is still going strong. I wish my 2011 model T7100 was as rain-proof as that old S6100, but that said, the T7100 is still going strong. When it dies, it will be replaced with a used 2015 Zero S.
Regarding the ZEV speedos, that has always been a huge problem exaggerating both speed and range. I chose to add a Cycle Analyst to the bike. On my T7100, I threw away the instrument panel and replaced it all with a CA. Then added two bright turn signal indicators. Accurate speed, distance, voltage, current, and battery capacity along with turn signals that I could see on a sunny day - whats not to love about that. However, if you lack those skills, you should be able to mount a cheap bicycle speedo and get accurate speed and distance. AFAIK, the bikes are still produced with 28 cells. Cells are spent at around 2.8V so a perfectly balanced pack would have a low of 78.4V; however, few packs are perfectly balanced so expect a higher voltage as your lower voltage range. Try not to run the bike down that low though as it tends to unbalance the pack. I don't know what type of BMS ZEV is currently using, but the old BMS's could only balance at 100-150ma. So it was difficult to fully balance a pack unless you had a variable voltage charger. One of the mistakes I used to do was charge the bike right before a ride. This didn't give the BMS a chance to bleed the high cells down and further balance the pack. So if you can, give the bike some time post-charging to balance before you go for a ride. If you can buy a 100ma max constant current source with at least a 104V output range, then you could safely and fully rebalance the pack. If you ever need to replace the charger, two Mean Well HRP-600-48 power supplies in series with a series diode works great as a variable voltage charger with an output current of about 14.3 amps. I too would like to see some real world LRC performance specs: 0-30mph, 0-60mph, dyno HP rating, etc. My poor T7100 performance is so sad compared to my Kymco 300GTI with its 30HP. But then the 7100 only has the equivalent of 9.5HP so you would expect it to perform poorly against a 300cc bike with 30HP. ZEV oil filled hub motors - back in 2011, ZEV wasn't filling the hub motors full with oil. Instead, a few tablespoons of oil was added from what I remember being told. The main reason was to coat the surfaces to reduce corrosion, but also to shed some heat. So not enough oil to leak out. EDIT2: after today's ride... (you can see my '07 SilverWing ABS in the background) One thing I've missed in this very hilly area is what the SWing has - a parking brake. But then the SWing doesn't have a reverse gear. So I'd call it even. You just have to be careful where you park. The battery voltage per cell is typically 3.3 to 3.0 volts; above 3.35V and below 2.9V is no real power. So the voltage curve is extremely non-linear and can't be used at all to determine range. That's why a watthour meter or amphour meter is so important to know true SOC or range. But over a few weeks you might get a feel for full range via trial and error (by finding out where the bike stops running). Range will vary greatly based on speed, wind and terrain. So get used to being stranded and asking people for help getting the bike charged. If you run out of power, stop and charge the battery. Every business and every home is a potential place to recharge. Bikes have been drained to the point of not being able to be recharged by the OEM charger because some fool continued to try to make it back home and over-drained the battery. Regarding speedos, on the old bikes, between 35-40mph the speedo would be about 10% off. But at 55mph, the speedo could read over 70mph, so the speedo error wasn't close to linear; hence, the need for a Cycle Analyst. I don't know if that is still true on newer bikes, but do a high speed GPS speedo test. If needed, you could make an overlay for the speedo with the correct mph markings. Once again, a Cycle Analyst just makes the bike so much more enjoyable and usable. Its so nice to know the exact range left even after multiple opportunity charges. Greatly reduces range anxiety and stopped me from ever running out of power. 78.4V would be fully discharged! There is no protection to use only lets say 80% of the packs energy. Thanks, IB. I looked up that unit - it seems built for bicycles, and I'd rather hack one of those than this ZEV. Still, I guess someone could do a DIY video to show how. Trouble is, the bikes keep changing (i.e., improving), so that might be difficult. Just between my ordering this LRC-6 and getting it, the controller and charger both were upgraded. Most of my motorcycles and scooters over the years have had no gas gauges, so we always clock range by the trip odometer. I guess I could do this with the LRC. I took a ride today - about 35 miles ranging between 35 mph and 55 mph. When I got back, the voltage was 91V (from 92V when I left). Plugshare is an awesome tool, and I used it often before getting the gas motorcycle. Now I don't do much opportunity charging. 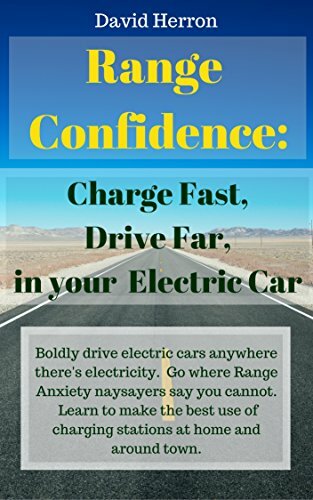 I drive the ZEV within its range (about 45 miles max). If I'm going farther, I take the gas bike. BTW, my T7100 has the same battery capacity as your LRC 6 (28 cells of 60AH/cell). Now the batteries might be improved but I doubt by much. At 45-50mph, I doubt you will see more than 50-55 mile range. Just a heads up. It will be interesting to see how far you can go before getting stranded. When I got my first S6100, I was very concerned about range and opportunity charging. I asked a friend who had built his own lead-acid based motorcycle, where he charged and how he located charging sites. This was prior to plugshare.com being as popular as it is today. His answer was surprising and outside my then comfort zone; he said to ride until you lose power and then start knocking on people's doors until someone would let him charge at their house. He would offer a few dollars to the homeowners for the inconvenience. He said most people would let him charge his bike and wouldn't take the money. Well, I don't like to be dependent on the generosity of strangers. But I wanted to learn the range of my new bike without riding a hundred times around my high-end neighborhood to find out. Back then, electric scooter style motorcycles were an oddity and my neighbors thought I was a lunatic for owning one. So I didn't want to embarrass myself by endlessly circling my neighborhood waiting to get stranded and having to walk it back home. So, I did what my friend suggested; I rode it until it ran out of juice (it stopped going into second gear and was stuck in first gear). Sure enough, a guy let me charge at his house and we had a great discussion about electric motorcycles. This was a great quick way to learn what kind of range the bike really had. Needless to say, it wasn't close to what was advertised, but I was able to make it work for me by using opportunity charging when I could at businesses and parks. Plugshare is mostly used for finding publicly available standard electric car charging stations. Private homeowners can also list their charging stations or just a plain 120 V outlet for emergency use by others. I have my charging station (for a Smart Electric car and my Current C124 Scooter) listed on Plugshare (Brentwood/Pittsburgh, PA, US) - nobody has ever used it as far as I know. I hope someone in Colorado buys one of those ZEV trikes so I can test ride one. A leaning trike would be very cool. BTW, nice looking bike and color choice. I just saw the photo. I wish my T7100 had that much storage space. "BTW, my T7100 has the same battery capacity as your LRC 6 (28 cells of 60AH/cell). Now the batteries might be improved but I doubt by much. At 45-50mph, I doubt you will see more than 50-55 mile range. Just a heads up. It will be interesting to see how far you can go before getting stranded." Thanks for the heads-up. Do you remember what your (stock) voltage meter was reading when you were at the limit of your range? I went about 25 miles yesterday and it was still reading 90V when I returned. About acceleration (zero-to-whatever) - that one is tricky. When taking off at a stop light, my SilverWing spends a lot of time trying to "lock up" it's (standard super-scooter) friction clutch. I had to replace the clutch pads about a year after buying it. (So you're not really getting motor performance there.) I also added lighter weights (on the SilverWing forums, acceleration is a big topic), and that helped a bit. Once it locks up, it has a lot of acceleration at lower RPM range that decreases slowly above 60 MPH or so (it's a two-cylinder, after all). But it can reliably get up to 90 MPH. I would say that the LRC-6 has better overall performance, maybe in part because it's at least 100lbs lighter. Really quick at low speed and high speed acceleration compared to the SilverWing. I haven't tried the LRC on the freeway but I understand the top speed is around 85 MPH. The top speed in my SilverWing is dictated by the redline/transmission/etc. but I think on the LRC it's limited electronically; set to keep from destroying the batteries. At 75 MPH on the LA freeways, the SilverWing throttle is pretty far open, so there isn't much acceleration available. From a practical point of view, this sort of stuff is what matters. The LRC-6 is quite solidly within the class of modern super-scooters, and would likely win a race with any of them (based on my experience with my Honda SilverWing). But I also guess I need to be looking for plugshare far away from me anyway!